How to Get the Maximum Profits from Flipping Houses | Learn NOW! Flipping houses is not only about the thrill of the find, the joy of fixing it up or the speed of the flip – it is about making a profit. Buying cheap property and flipping homes for a profit can create an excellent business opportunity. How can you make the most money flipping houses? Finding discounted properties can be easy if you have good sources such as an online foreclosure database or a list of abandoned properties. Finding a buyer, however, is the key to a wholesaler's success. Become a member of the local real estate or investors club. Watch out for "We Buy Cheap House" signs and write down their numbers. Talk to area contractors and landlords. 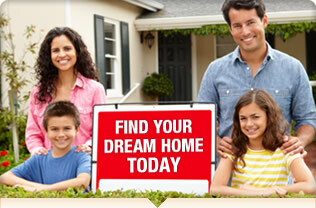 Search the MLS for cash buyers. At times you will find the perfect property but not be able to find a buyer. Writing contracts in a way that gives you an exit strategy will protect your reputation and your cash. You do not need more than one or two clauses per contract. Subject to Buyer's Satisfactory Inspection. If you, or a home inspector, finds legitimate problems with the property, you can be released from the agreement. Contingent Upon Investor finding a Buyer within ___ days. If your seller knows that you are planning to flip the property, this clause gives you a way out. It can be easy to get caught up in the thrill of the moment - so many cheap homes, so little time. Each property purchase increases an investor's risk until it is sold. When creating your business plan for flipping properties set a risk limit and stick to it. Depending on your level of experience and skill, cheaper may not always be better. A home that is listed for $15,000 may actually be a bad investment compared to a similar home which is asking $55,000. Why? An investor must calculate the amount of repairs/remodeling that is necessary to bring it up to market value. Usually the dirt cheap properties have serious issues that can cost thousands of dollars to fix - if they can be fixed at all. On the other hand, some more pricey properties simply need some updating to make them more appealing. These easy fixes can net some quick cash. Never forget that there are additional costs associated with flipping homes. Every month that passes eats up your profits because you are paying the property taxes, insurance, utilities and any mortgage payments. All of these must be factored into each property equation in order to honestly calculate the return on investment. Flipping houses is a great way to get into real estate and earn some serious cash. Foreclosure investing can help with the bottom line and applying these tips will help you maximize your profits.